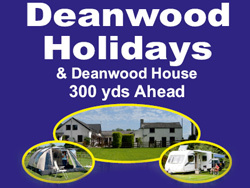 Another beautiful weekend at Deanwood Caravan and Campsite! It is really lovely to be able to relax and enjoy the great outdoors and, as you can see, our guests are doing just that! 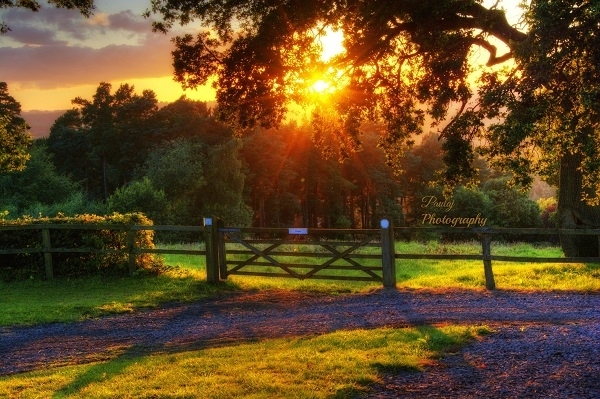 Hopefully, we will have many more lovely weekends when campers can escape to the Forest of Dean and unwind after a busy week. Photos of May Day Bank Holiday weekend at Deanwood Caravan and campsite, near Lydney, in the Forest of Dean. The weather was dry with quite a bit a sunshine to enjoy when out of the wind which was cold. The skies were clear with beautiful views over the Forest of Dean to the Brecon Beacons and Black Mountains in the distance. Is it a caravan or is it a boat! Deanwood Holidays Caravan and Campsite in the Forest of Dean now has a new Book Exchange for their guests to enjoy. Exchange a book ..
A few photos taken before and over Easter weekend 2014 of our Caravan and Campsite. We had a beautiful Easter and have since had a wonderful sunny May Day weekend too. Makes you feel summer is almost here! The Motorhome area of Deanwood Caravan and Campsite has now got smart new planters in it, with different plants and shrubs to give all year round interest. The planters are a combined effort - made by John and Graham and planted by Elaine! Have a look at the photographs.